It is no secret. I love to cook. And, bake. And, all the kitchen entails… Cleaning, organizing, arranging, perfecting flow (not sure if this is ever conquered), making baby food right down to milling her cereal, making a hearty sandwich (no, that is not sexist), and sharing in the good conversations a kitchen just promotes, especially over morning coffee or a good bottle of wine. Food is the pathway to the heart of children, men, and fellow women. There is just something so indescribably special about a morsel leaving you wanting more. It’s apparent food was not only ignited to keep us living (bah-dom-bom), but I truly believe food has been perfected to shower our loved ones. Huge appreciation to damn good recipes that guided me as I was “Baking Through the Holidays” this season. Recipes. We search for them. We share them. We hoard them. Go into a kitchen and you will find them in cook books… stacks of cook books. Recipe boxes- handmade ones that are handled like fine china, plastic ones that are barely hanging on, and tin cans even. Book marked on home pages of every fathomable electronic device, internet browser, every e-reader ever e-dreamed up, and any video that walks you through every important step. Any time there is an occasion to share a recipe for a bridal shower, house warming, new baby, or just a good ole chained email, private message, direct message or whatever-concealed-message-that-is-popular-right-now, we dive in on the simple hope we gain a few more gems to add to the aromatic-promised treasure box. Recipes. Failed marriages leave you with two precious gifts: Children and Recipes. If you are so petty you refuse to bake or cook a recipe originated in your ex’s family, yet secretly crave it for any occasion it was always perfect for, guess what?! All you have to do is make it your own. Even if that means ¼ teaspoon less or more salt or sugar. Make it your own. That’s what I have done over the years. Not just with my exs’ familes’ recipes, but with the recipes I grew up making in my Momma’s & Bonus Mom’s kitchens, passed to me from anyone, and right down to a recipe shared by an expert with their own TV show. We have unique taste buds, and those buds have every right to be tended to. Tending to our taste buds is just as important as tending to our schedules. I live by my calendar. I have to. I have practiced this since I was a teenager when all my extra-curriculars started stealing my days. Fast forward 20+ years and four kids later… and I lean on my tangible planner as well as my electronic calendar that is set up with specific color-coded-calendars for each kid, one for my hubster and me, and my personal space. My husband and I share all the ones for the kids and us. How in the world does anyone function without looking at a calendar? Well, any person that is truly adulting at its finest anyways? I even plan recipes by looking at a calendar. Back Story- Blending Families deal with holiday sharing; some better than others. Thanksgiving, by any standard divorce decree, is the dads’ on odd years, and Christmas is the moms’. Vice versa for even years. Some decrees are set up to allow both parents to share the day, and time is split over the break however they tend to agree on during the divorce, mediation, or over the years. It is obvious this is set up to allow people to plan ahead and have no surprises (& I don’t mean surprises in the good way). Even the strongest Blending Families encounter frustrations on occasions with schedules, especially around the holidays. I have been blending since I was about five years old. I grew up with an optimistic, agreed upon, blended experience (for the most part), raise two of my children by a set standard decree (now), & have experienced a loose to firm blend with my oldest. What they all have in common is they evolved over time. 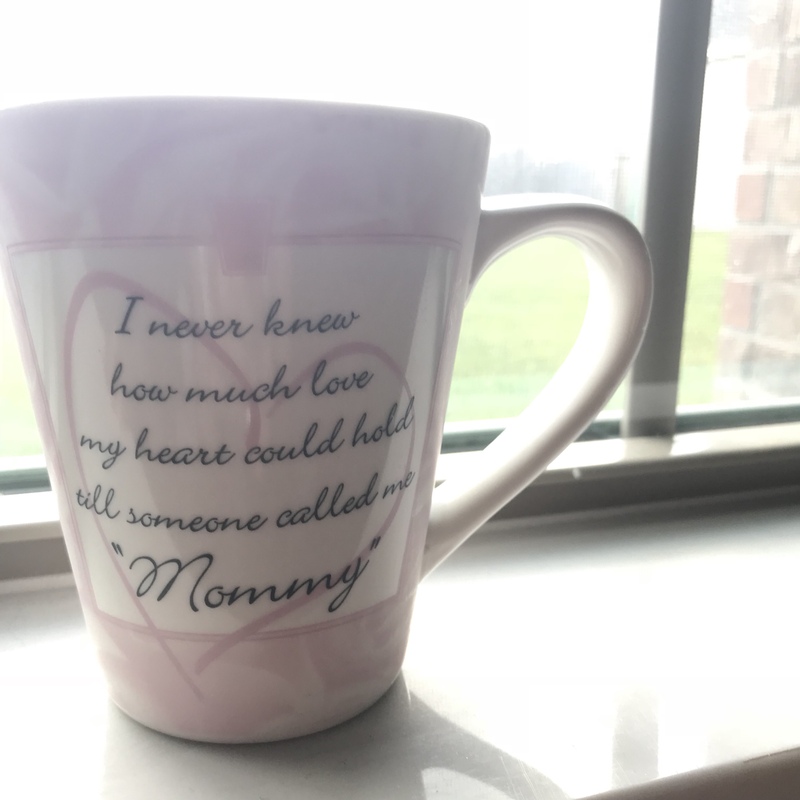 What I have learned is I can choose to mourn the holidays that are not mine, attempt to wreck havoc on the lives of my children’s others, and be so vain as to think I am more important than anyone else because “I am the mom,” but I was taught better. I was not always so graceful, but at some point, we have to grow the F! up, and think about the kids. It’s about them. Not us. When those adolescent-like emotions try to climb up my spine, my adult self puts a stop to it by finding a greater perspective: My kids are happy in whichever home they celebrate. Besides, we both have the right to see their sleepy-eyed selves running to the living room Christmas morning. Just because they rode around for nine months in the womb does not give moms prestige over the dads. So… with that said- Moms & Dads, plan ahead. Think of all the people you jack with when you don’t. You alone are not more important that anyone else. I know, it’s hard, but… you’re not. Moms & Dads that are walked on every. single. year by the others… guess what? There’s a cure. It’s called boundaries, and a two lettered word: No. As Thanksgiving approached this year, I felt the pang. The pang I feel each time a special day comes around, & I won’t have them. Two of my girls would not be present to give thanks with us and/or see their baby sister experience her first Thanksgiving. Rather than try to present how much more important my Thanksgiving is than the girls’ dad’s in hopes to change the plans set forth in our divorce decree (which I would not fathom doing), I chose to make the best of the time I had. The week before Thanksgiving (yes, a normal week with school, extra-curriculars, et al) I decided I would shower all of our three big girls in “Thanks,” since two would be gone the entire break, and we would gather our oldest at 11 am Thanksgiving Day. We are so fortunate to have all of our kids on even weekends. Taking advantage of the second weekend in November (and planning ahead), I asked each of the big girls to pick one of their favorite dinner dishes of mine. Our oldest daughter stays with us on Tuesday nights, which allows her to be with all of the kids, too. So, Monday through Wednesday, we had big dinners. Monday, I made the 13 year old’s pick, chili. Tuesday, the oldest requested baked pork, okra hash, and fried okra. Wednesday, the second grader picked wings and french fries. With each meal, I reminded them how much we love them, how we will miss them the week of Thanksgiving break, and how cooking a meal they chose is my way of cooking a thankful meal for them early. Three nights in a row we had daughters feeling loved and enjoying each other feeling loved. We teach them how not to be selfish in a negative way (yes, there is a positive form of selfishness, which is worth a-whole-nother blog). My Momma cup felt quite full that week, too. So full, the following week I didn’t hurt as much as I usually do when they are gone sharing fellowship with their other deserving families. We even spent most of Thanksgiving Break, out-of-town, at my Pop’s cabin at the deer lease. Yep, I cooked & baked… making recipes my own for loved ones. My heart needed that trip with my family, since we hadn’t celebrated Thanksgiving with them in four years. Since I hadn’t stirred meringue with my Pops in quite some time. I didn’t stop planning ahead, cooking, & baking with Thanksgiving. December rolled around, and Christmas preparations were underway everywhere. I do not decorate without all of our children. On odd years, we decorate on the second weekend of December. This year, with a new baby, I decided to start a new tradition. We went to a local tree farm, and cut down our own tree. Griswold-esque as it was; we each enjoyed the experience and will do it every year from here on out. We decorated the tree and the outside of our home. I baked and cooked and baked that weekend – breakfast, lunch, dinner, snacks, & deserts – leaning on old and new recipes. I decided to set up a warm beverage bar to house hot cocoa fixings, apple cider, peppermint sticks, and adult touches, too. A glimpse- I crock-potted dinner for us to eat before we caravanned with my sister, her husband, and their kids to see Christmas lights in a nearby town snacking on the homemade chex mix I baked, the kids drinking hot cocoa, and us sipping on Irish coffees. It was a Christmas weekend… two weeks early. We even utilized the lone Tuesday night before the break we had all four of our girls to visit a nearby town’s Festival of Lights in their local park; an annual tradition we find a way to conquer each year. It can all be cheesy. But, it is so worth it because it is wonderful. We chose to do this (& do every year) because even if we do have two of our girls on Christmas morning, we do not have our oldest until 11. Then, we make the rounds to see family. By the time Christmas evening rolls around, we are all exhausted. And, our school district changed the academic schedule this year to start the winter break late and lasting later, which cut the moms’ time short over the break, even though it was her Christmas. This marked two years in a row for moms to have a short piece of the winter break time pie. Nothing one can do about that. It left us with just 72 hours with all four of our girls. With Christmas Day being so full of visits to tend to, we really only had about 48 hours of go-time to be spent with our children. My husband had to return to work, too. Knowing this, we saved a few items for those few days to share with our kids. As Christmas Eve approached, I pulled out my handmade recipe box my Nanny had made for me almost 13 years ago, and located the peanut butter fudge recipe my bonus mom, June, used to make every year for the holidays. The recipe I started making, seven years after she passed, 14 years ago, while pregnant with my first born (yes, thank you pregnant cravings). A holiday is just not a holiday anymore without that peanut butter fudge. I baked another batch of chex mix. Tortillas were filled with ham, cream cheese, shredded Colby-Jack cheese, and chives, cut and arranged around a bowl of salsa (thank you husband for the assist). We wrapped gifts until the Irish coffees & egg nogs were empty. With three of our children, we attended our family Christmas Eve church service and a family gathering with all that yummy food. That evening, we donned Christmas pjs (yep, another annual tradition (yes, on even years, we do Christmas pjs early)), sprinkled reindeer food, & left cookies & milk for Santa. Christmas morning brought the whimsical wonder an eight year old & eight month old bring. The twinkle in the eye of a thirteen year old sharing in the magic of the team. We had Santa time as they woke simply because you cannot deny a child the visit of Santa. We ate buttered-pecan muffins at leisure. The kids played with their Santa gifts. Then, it was time. Our oldest would join us soon. We promised ourselves an hour at home with all four children before making the family visits. We all got ready in our Christmas t-shirts, & my husband headed to pick her up. We all greeted her at the door. Showered her in Christmas morning hugs, let her change into her Christmas t-shirt to match the other teen, watched her experience Santa time & opening her set of Christmas pj’s. Next up was our lil family traditions of stockings holding the ornament wrapped in the individual paper to guide the kids to their boxes under the tree. The joy unfolded. That hour at home was worth every precious second. Ordering new stockings for all of us with the birth of the baby was a sweet touch seeing “Daddy” and “Momma” hanging on the mantel rather than our first names. Yes, stockings can evolve, too. Looking back, I am glad I insisted on “being extra” (as my teens claim) by wanting to spend time celebrating with our children… before, on, and after the specific holidays. Things came up, people begged for a schedule change, we catered one last time, and kids got sick. Our house celebrated anyways because we celebrated early… because we planned ahead… because of those recipes that were begging to be made… and even because we crammed two days of events into one at the last minute, so all kids could be present. New Year’s Eve rolled around, and even though I started this blog, I made a Mexican cornbread. My husband started the process at home while I finished my first blog to post. Walking into his grandparents’ home, I had the honor of making the rest in his grandma’s kitchen. Baking in her kitchen brought on talk with her and her sister about my love for cooking. (Mental prewriting for this blog began, too.) We chatted about how we all make cabbage for New Year’s Day. Their eyes widened at the recipe I verbally shared. New Year’s Day, I received a phone call from my husband’s grandmother requesting me to come early and make my version of the cabbage. Her and her sister split the cabbage heads up: Half for their way, and half for mine. There I was cooking in her kitchen, again, the very next day… two symbolic days… last day of one year, and the first day of the next year. I encourage you to bake through the holidays (and any special occasion) your child spends with their others. When it is hard, push the adolescent mindset away. Use your calendar. Plan ahead. Be the adult. Be selfless. Celebrate a different day. And, by all means… Bake. Very visual. Full of life lessons. Definetly keeps you coming back. Wow! You have a beautiful gift with words! Thank you for sharing it with all of us. What goes in the cabbage? I will share the recipe when I add recipes to my blog. Stay tuned… Hugs!